11. It follows from what has just been said, that the natural changes of the Monads come from an internal principle, since an external cause can have no influence upon their inner being. 12. But, besides the principle of the change, there must be a particular series of changes [un détail de ce qui change], which constitutes, so to speak, the specific nature and variety of the simple substances. 13. This particular series of changes should involve a multiplicity in the unit [unité] or in that which is simple. For, as every natural change takes place gradually, something changes and something remains unchanged; and consequently a simple substance must be affected and related in many ways, although it has no parts. 14. The passing condition, which involves and represents a multiplicity in the unit [unité] or in the simple substance, is nothing but what is called Perception, which is to be distinguished from Apperception or Consciousness, as will afterwards appear. In this matter the Cartesian view is extremely defective, for it treats as non-existent those perceptions of which we are not consciously aware. This has also led them to believe that minds [esprits] alone are Monads, and that there are no souls of animals nor other Entelechies. 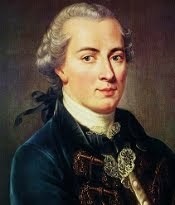 Thus, like the crowd, they have failed to distinguish between a prolonged unconsciousness and absolute death, which has made them fall again into the Scholastic prejudice of souls entirely separate [from bodies], and has even confirmed ill-balanced minds in the opinion that souls are mortal. 18. 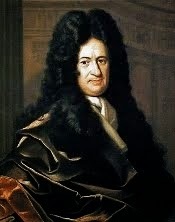 All simple substances or created Monads might be called Entelechies, for they have in them a certain perfection (έχουσι τό έντελές); they have a certain self-sufficiency (αύτάρκεια) which makes them the sources of their internal activities and, so to speak, incorporeal automata. 19. If we are to give the name of Soul to everything which has perceptions and desires [appétits] in the general sense which I have explained, then all simple substances or created Monads might be called souls; but as feeling [le sentiment] is something more than a bare perception, I think it right that the general name of Monads or Entelechies should suffice for simple substances which have perception only, and that the name of Souls should be given only to those in which perception is more distinct, and is accompanied by memory. 20. For we experience in ourselves a condition in which we remember nothing and have no distinguishable perception; as when we fall into a swoon or when we are overcome with a profound dreamless sleep. In this state the soul does not perceptibly differ from a bare Monad; but as this state is not lasting, and the soul comes out of it, the soul is something more than a bare Monad. 23. And as, on waking from stupor, we are conscious of our perceptions, we must have had perceptions immediately before we awoke, although we were not at all conscious of them; for one perception can in a natural way come only from another perception, as a motion can in a natural way come only from a motion. 26. Memory provides the soul with a kind of consecutiveness, which resembles [imite] reason, but which is to be distinguished from it. Thus we see that when animals have a perception of something which strikes them and of which they have formerly had a similar perception, they are led, by means of representation in their memory, to expect what was combined with the thing in this previous perception, and they come to have feelings similar to those they had on the former occasion. For instance, when a stick is shown to dogs, they remember the pain it has caused them, and howl and run away. 30. It is also through the knowledge of necessary truths, and through their abstract expression, that we rise to acts of reflexion, which make us think of what is called I, and observe that this or that is within us: and thus, thinking of ourselves, we think of being, of substance, of the simple and the compound, of the immaterial, and of God Himself, conceiving that what is limited in us is in Him without limits. And these acts of reflexion furnish the chief objects of our reasonings. 32. And that of sufficient reason, in virtue of which we hold that there can be no fact real or existing, no statement true, unless there be a sufficient reason, why it should be so and not otherwise, although these reasons usually cannot be known by us. 35. In short, there are simple ideas, of which no definition can be given; there are also axioms and postulates, in a word, primary principles, which cannot be proved, and indeed have no need of proof; and these are identical propositions, whose opposite involves an express contradiction. 38. Thus the final reason of things must be in a necessary substance, in which the variety of particular changes exists only eminently, as in its source; and this substance we call God. 40. We may also hold that this supreme substance, which is unique, universal and necessary, nothing outside of it being independent of it,—this substance, which is a pure sequence of possible being, must be illimitable and must contain as much reality as is possible. 41. Whence it follows that God is absolutely perfect; for perfection is nothing but amount of positive reality, in the strict sense, leaving out of account the limits or bounds in things which are limited. And where there are no bounds, that is to say in God, perfection is absolutely infinite. 42. It follows also that created beings derive their perfections from the influence of God, but that their imperfections come from their own nature, which is incapable of being without limits. For it is in this that they differ from God. An instance of this original imperfection of created beings may be seen in the natural inertia of bodies. 43. It is farther true that in God there is not only the source of existences but also that of essences, in so far as they are real, that is to say, the source of what is real in the possible. For the understanding of God is the region of eternal truths or of the ideas on which they depend, and without Him there would be nothing real in the possibilities of things, and not only would there be nothing in existence, but nothing would even be possible. 44. For if there is a reality in essences or possibilities, or rather in eternal truths, this reality must needs be founded in something existing and actual, and consequently in the existence of the necessary Being, in whom essence involves existence, or in whom to be possible is to be actual. 48. In God there is Power, which is the source of all, also Knowledge, whose content is the variety of the ideas, and finally Will, which makes changes or products according to the principle of the best. (Theodicy 7, 149, 150.) These characteristics correspond to what in the created Monads forms the ground or basis, to the faculty of Perception and to the faculty of Appetition. But in God these attributes are absolutely infinite or perfect; and in the created Monads or the Entelechies (or perfectihabiae, as Hermolaus Barbarus translated the word) there are only imitations of these attributes, according to the degree of perfection of the Monad. 49. A created thing is said to act outwardly in so far as it has perfection, and to suffer [or be passive, pâtir] in relation to another, in so far as it is imperfect. Thus activity [action] is attributed to a Monad, in so far as it has distinct perceptions, and passivity [passion] in so far as its perceptions are confused. 51. But in simple substances the influence of one Monad upon another is only ideal, and it can have its effect only through the mediation of God, in so far as in the ideas of God any Monad rightly claims that God, in regulating the others from the beginning of things, should have regard to it. For since one created Monad cannot have any physical influence upon the inner being of another, it is only by this means that the one can be dependent upon the other. 52. Accordingly, among created things, activities and passivities are mutual. For God, comparing two simple substances, finds in each reasons which oblige Him to adapt the other to it, and consequently what is active in certain respects is passive from another point of view; active in so far as what we distinctly know in it serves to explain [rendre raison de] what takes place in another, and passive in so far as the explanation [raison] of what takes place in it is to be found in that which is distinctly known in another. 54. And this reason can be found only in the fitness [convenance], or in the degrees of perfection, that these worlds possess, since each possible thing has the right to aspire to existence in proportion to the amount of perfection it contains in germ. 55. Thus the actual existence of the best that wisdom makes known to God is due to this, that His goodness makes Him choose it, and His power makes Him produce it. 57. And as the same town, looked at from various sides, appears quite different and becomes as it were numerous in aspects [perspectivement]; even so, as a result of the infinite number of simple substances, it is as if there were so many different universes, which, nevertheless are nothing but aspects [perspectives] of a single universe, according to the special point of view of each Monad. 59. Besides, no hypothesis but this (which I venture to call proved) fittingly exalts the greatness of God; and this Monsieur Bayle recognized when, in his Dictionary (article Rorarius), he raised objections to it, in which indeed he was inclined to think that I was attributing too much to God—more than it is possible to attribute. But he was unable to give any reason which could show the impossibility of this universal harmony, according to which every substance exactly expresses all others through the relations it has with them. 60. Further, in what I have just said there may be seen the reasons a priori why things could not be otherwise than they are. For God in regulating the whole has had regard to each part, and in particular to each Monad, whose nature being to represent, nothing can confine it to the representing of only one part of things; though it is true that this representation is merely confused as regards the variety of particular things [le détail] in the whole universe, and can be distinct only as regards a small part of things, namely, those which are either nearest or greatest in relation to each of the Monads; otherwise each Monad would be a deity. It is not as regards their object, but as regards the different ways in which they have knowledge of their object, that the Monads are limited. In a confused way they all strive after [vont à] the infinite, the whole; but they are limited and differentiated through the degrees of their distinct perceptions. 61. And compounds are in this respect analogous with [symbolisent avec] simple substances. For all is a plenum (and thus all matter is connected together) and in the plenum every motion has an effect upon distant bodies in proportion to their distance, so that each body not only is affected by those which are in contact with it and in some way feels the effect of everything that happens to them, but also is mediately affected by bodies adjoining those with which it itself is in immediate contact. Wherefore it follows that this inter-communication of things extends to any distance, however great. And consequently every body feels the effect of all that takes place in the universe, so that he who sees all might read in each what is happening everywhere, and even what has happened or shall happen, observing in the present that which is far off as well in time as in place: σύμπνοια πάντα, as Hippocrates said. But a soul can read in itself only that which is there represented distinctly; it cannot all at once unroll everything that is enfolded in it, for its complexity is infinite. 62. Thus, although each created Monad represents the whole universe, it represents more distinctly the body which specially pertains to it, and of which it is the entelechy; and as this body expresses the whole universe through the connexion of all matter in the plenum, the soul also represents the whole universe in representing this body, which belongs to it in a special way. 63. The body belonging to a Monad (which is its entelechy or its soul) constitutes along with the entelechy what may be called a living being, and along with the soul what is called an animal. Now this body of living being or of an animal is always organic; for, as every Monad is, in its own way, a mirror of the universe, and as the universe is ruled according to a perfect order, there must also be order in that which represents it, i.e. in the perceptions of the soul, and consequently there must be order in the body, through which the universe is represented in the soul. 64. Thus the organic body of each living being is a kind of divine machine or natural automaton, which infinitely surpasses all artificial automata. For a machine made by the skill of man is not a machine in each of its parts. For instance, the tooth of a brass wheel has parts or fragments which for us are not artificial products, and which do not have the special characteristics of the machine, for they give no indication of the use for which the wheel was intended. But the machines of nature, namely, living bodies, are still machines in their smallest parts ad infinitum. It is this that constitutes the difference between nature and art, that is to say, between the divine art and ours. 65. And the Author of nature has been able to employ this divine and infinitely wonderful power of art, because each portion of matter is not only infinitely divisible, as the ancients observed, but is also actually subdivided without end, each part into further parts, of which each has some motion of its own; otherwise it would be impossible for each portion of matter to express the whole universe. 72. 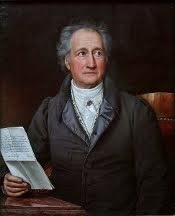 Thus the soul changes its body only by degrees, little by little, so that it is never all at once deprived of all its organs; and there is often metamorphosis in animals, but never metempsychosis or transmigration of souls; nor are there souls entirely separate [from bodies] nor unembodied spirits [genies sans corps]. God alone is completely without body. 73. It also follows from this that there never is absolute birth [génération] nor complete death, in the strict sense, consisting in the separation of the soul from the body. What we call births [générations] are developments and growths, while what we call deaths are envelopments and diminutions. 74. Philosophers have been much perplexed about the origin of forms, entelechies, or souls; but nowadays it has become known, through careful studies of plants, insects, and animals, that the organic bodies of nature are never products of chaos or putrefaction, but always come from seeds, in which there was undoubtedly some preformation; and it is held that not only the organic body was already there before conception, but also a soul in this body, and, in short, the animal itself; and that by means of conception this animal has merely been prepared for the great transformation involved in its becoming an animal of another kind. Something like this is indeed seen apart from birth [génération], as when worms become flies and caterpillars become butterflies. 75. The animals, of which some are raised by means of conception to the rank of larger animals, may be called spermatic, but those among them which are not so raised but remain in their own kind (that is, the majority) are born, multiply, and are destroyed like the large animals, and it is only a few chosen ones [élus] that pass to a greater theatre. 76. But this is only half of the truth, and accordingly I hold that if an animal never comes into being by natural means [naturellement], no more does it come to an end by natural means; and that not only will there be no birth [génération], but also no complete destruction or death in the strict sense. And these reasonings, made a posteriori and drawn from experience are in perfect agreement with my principles deduced a priori, as above. 78. These principles have given me a way of explaining naturally the union or rather the mutual agreement [conformité] of the soul and the organic body. The soul follows its own laws, and the body likewise follows its own laws; and they agree with each other in virtue of the pre-established harmony between all substances, since they are all representations of one and the same universe. 80. 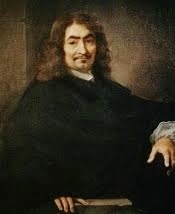 Descartes recognized that souls cannot impart any force to bodies, because there is always the same quantity of force in matter. Nevertheless he was of opinion that the soul could change the direction of bodies. But that is because in his time it was not known that there is a law of nature which affirms also the conservation of the same total direction in matter. Had Descartes noticed this he would have come upon my system of pre-established harmony. 83. Among other differences which exist between ordinary souls and minds [esprits], some of which differences I have already noted, there is also this: that souls in general are living mirrors or images of the universe of created things, but that minds are also images of the Deity or Author of nature Himself, capable of knowing the system of the universe, and to some extent of imitating it through architectonic ensamples [échantillons], each mind being like a small divinity in its own sphere. 84. 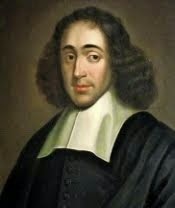 It is this that enables spirits [or minds—esprits] to enter into a kind of fellowship with God, and brings it about that in relation to them He is not only what an inventor is to his machine (which is the relation of God to other created things), but also what a prince is to his subjects, and, indeed, what a father is to his children. 85. Whence it is easy to conclude that the totality [assemblage] of all spirits [esprits] must compose the City of God, that is to say, the most perfect State that is possible, under the most perfect of Monarchs. 86. This City of God, this truly universal monarchy, is a moral world in the natural world, and is the most exalted and most divine among the works of God; and it is in it that the glory of God really consists, for He would have no glory were not His greatness and His goodness known and admired by spirits [esprits]. It is also in relation to this divine City that God specially has goodness, while His wisdom and His power are manifested everywhere. 87. As we have shown above that there is a perfect harmony between the two realms in nature, one of efficient, and the other of final causes, we should here notice also another harmony between the physical realm of nature and the moral realm of grace, that is to say, between God, considered as Architect of the mechanism [machine] of the universe and God considered as Monarch of the divine City of spirits [esprits]. 90. Finally, under this perfect government no good action would be unrewarded and no bad one unpunished, and all should issue in the well-being of the good, that is to say, of those who are not malcontents in this great state, but who trust in Providence, after having done their duty, and who love and imitate, as is meet, the Author of all good, finding pleasure in the contemplation of His perfections, as is the way of genuine 'pure love,' which takes pleasure in the happiness of the beloved. This it is which leads wise and virtuous people to devote their energies to everything which appears in harmony with the presumptive or antecedent will of God, and yet makes them content with what God actually brings to pass by His secret, consequent and positive [décisive] will, recognizing that if we could sufficiently understand the order of the universe, we should find that it exceeds all the desires of the wisest men, and that it is impossible to make it better than it is, not only as a whole and in general but also for ourselves in particular, if we are attached, as we ought to be, to the Author of all, not only as to the architect and efficient cause of our being, but as to our master and to the final cause, which ought to be the whole aim of our will, and which can alone make our happiness.